After checking out at Pearl Farm Resort, we shuttled back to Pearl Farm Marina at Davao City where we had lunch at Marina Cafe. After lunch, we had our scheduled Davao City tour, having hired a driver and van the previous day. Grace and my in-laws opted to visit an orchid farm while the kids and I visited the Philippine Eagle Center. 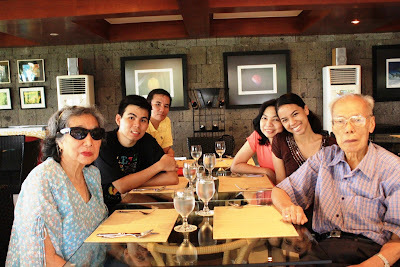 Once done, our driver drove us, up a winding cemented uphill road, to Jack’s Ridge Resort & Restaurant for dinner. This would be my second visit (the first was in 2007 with fellow architect Jose “Jay” Mendoza) and the first for the rest. 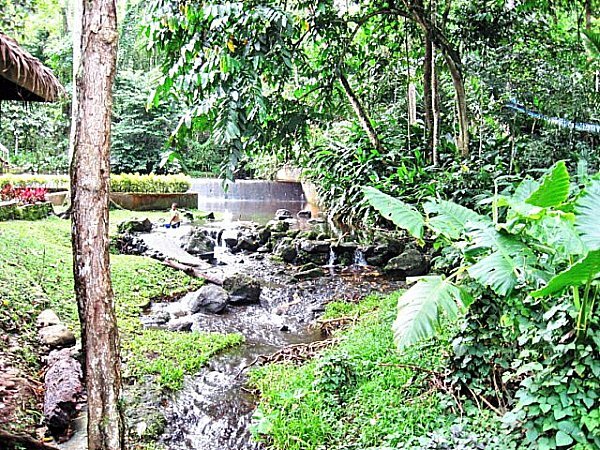 When the Americans landed in Davao on May 1, 1945, the retreating Japanese were forced to beat a path to Matina Hills where they set up their headquarters. 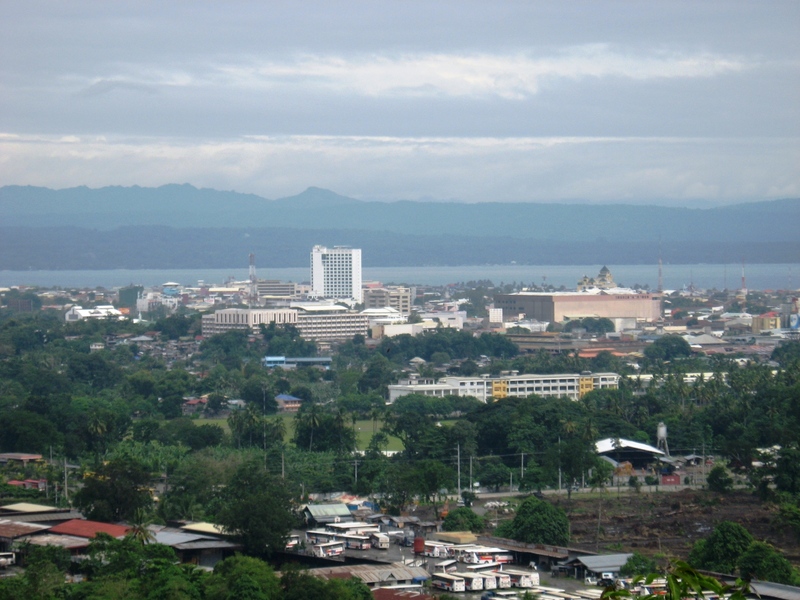 Here, they had a commanding view of the Davao Gulf where the American ships were anchored.Thus, it was the scene of fierce fighting between the two forces. Caves dug by the Japanese still pockmark the area and, once in a while, people still find bullet casings and other war materials in the rocky soil. There is even the ruin of a Japanese plane that crashed on a mountainside beside the ridge. Today, over half a century later, this area, now called Jack’s Ridge, is now popular with foreign and local tourists, not only for its commanding view of Central Business District (CBD) of Davao City and Davao Gulf, but also because of its popular and classy restaurants, cafes and bars now located there that offer different delicacies, truly a completely different dining experience. One of the most popular restaurants here is Taklobo Restaurant where we dined. 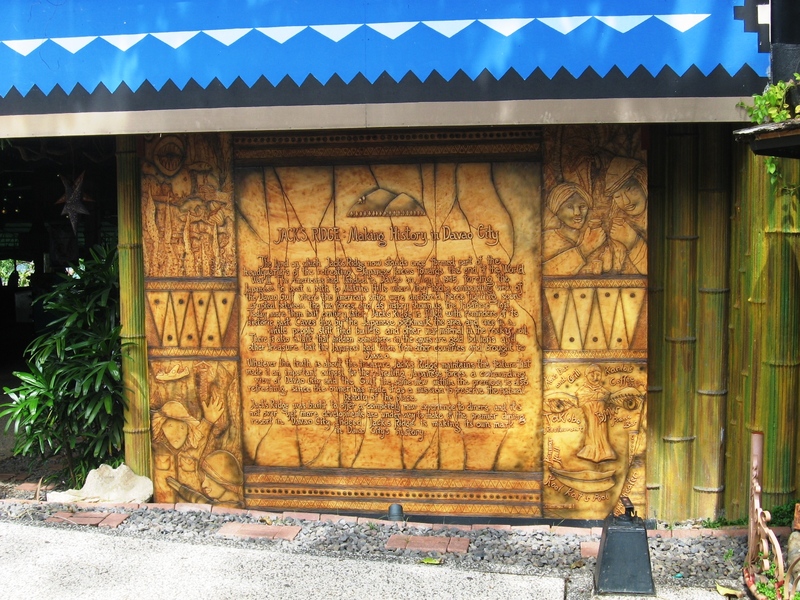 The restaurant is noted for its wide array of delectable and mouthwatering Dabawenyo dishes such as calamares, sinigang, kinilaw, grilled tuna, pork or chicken. A group of musicians also serenaded us while we were eating amidst the cool evening breeze. We also posed beside a life-size statue of a Japanese soldier. 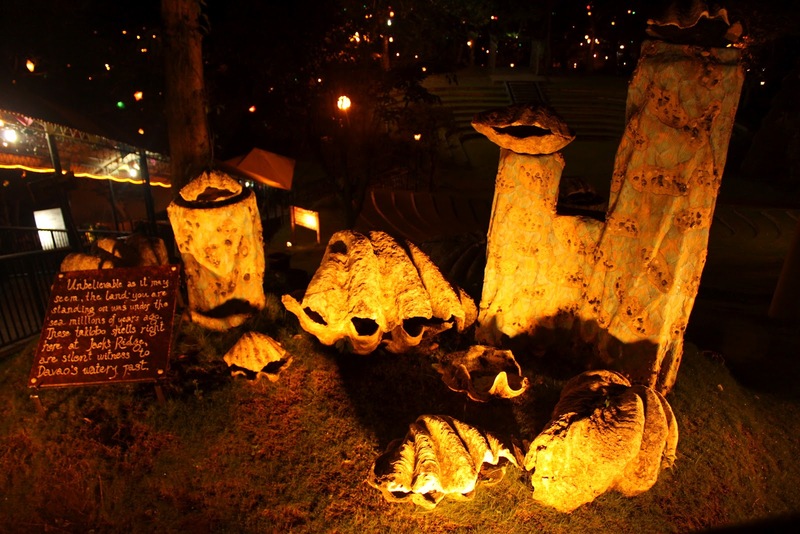 Just outside the restaurant are some prehistoric clam shells (taklobo) found at the ridge, an indication that this area, once submerged under the sea, was tossed to these heights by strong geological forces millions of years ago. 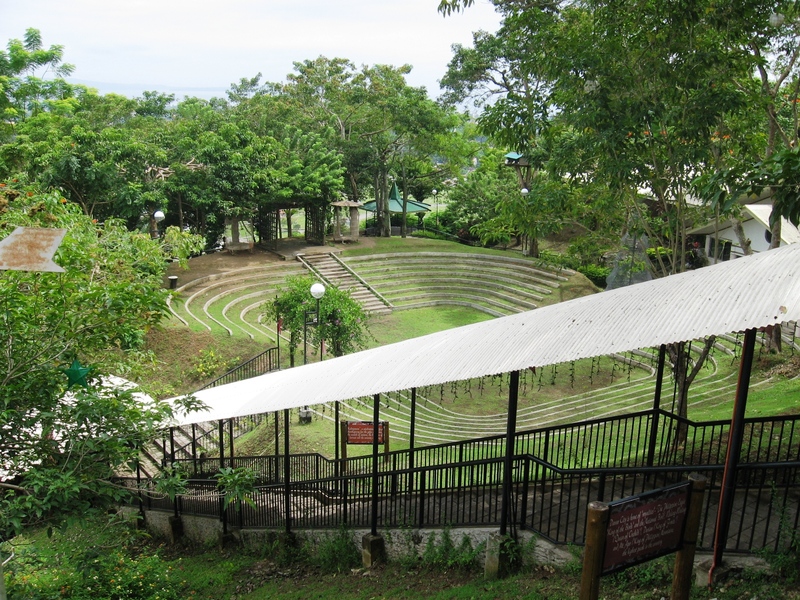 On one side was a covered concrete stairway leading to a spacious and elegant open amphitheater where one can lounge al fresco. Jack’s Ridge Resort & Restaurant: BCG Drive, Shrine Hills, Matina, Davao City. 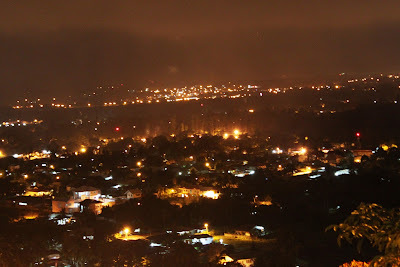 Davao del Sur. Tel: (082) 297-8830 to 31. Fax: (082) 297-6535. E-mail: info@jacksridgedavao.com and jacksridgedavao@yahoo.com.ph. Website: www.jacksridge.com. Pearl Farm Marina, our docking and loading area for Pearl Farm Resort (a 45-min. motorized boat ride), turned out to be more than just that. 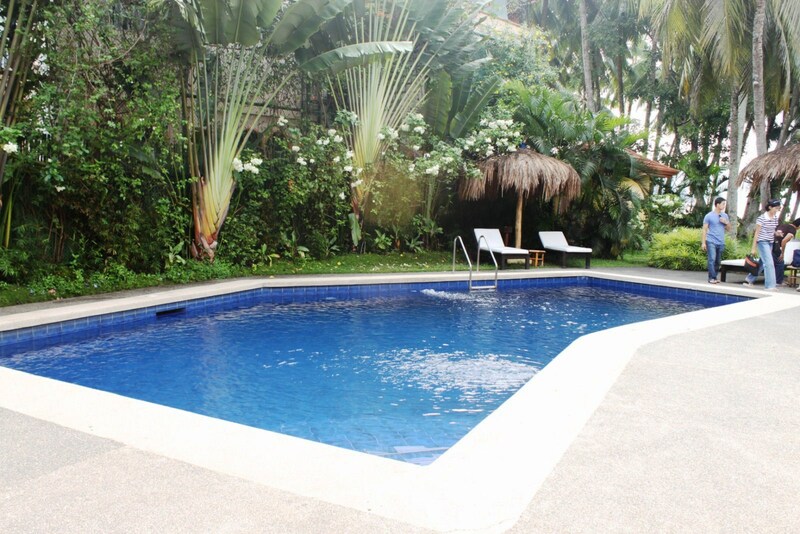 It is also a quaint and secluded hotel for those who wish peace and quiet in luxurious surroundings. 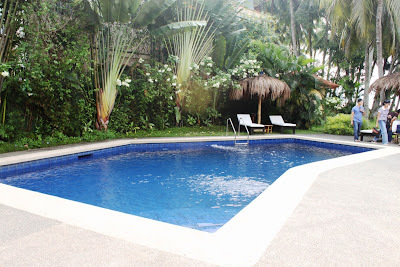 Many of those who stay here are also guests of Pearl Farm Resort who wish to stay overnight in Davao City. Opened in 2006, it only has 4 rooms (2 standard and 2 deluxe), all equipped with airconditioning, NDD/IDD phones, safety deposit boxes, cable TV and hot and cold shower. It also has a coffee shop (Marina Cafe, open 8 AM-10 PM), a mini-bar and an inviting swimming pool, all exclusive for guests to enjoy while waiting for the next boat service to the resort, their next flight or just to hang around. The mini-bar (open 7 AM-10 PM), ideal for small meetings, training sessions, seminars and other private functions, can accommodate 20 people. Both restaurant and mini-bar are wi-fi ready. Its garden area, a popular venue for weddings, cocktails, private parties and other special occasions, can accommodate 200 guests. 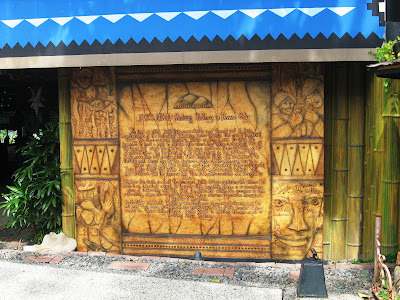 Right beside the hotel is the T’boli Weaving Center where guests can experience the rich cultural heritage of Mindanao. The ferry boat to the resort leaves 4 times daily (8:30 AM, 1:30 PM, 4 PM and 6 PM). Pearl Farm Marina: Km. 10, Lizada Drive, Lanang, Davao City. Davao del Sur. Tel: (082) 234-7018 and 234-6987. From the Philippine Eagle Center, Jay next drove me to the 7-hectare Davao Crocodile Park Complex, a mere 15-30-min. drive from the city’s downtown area. 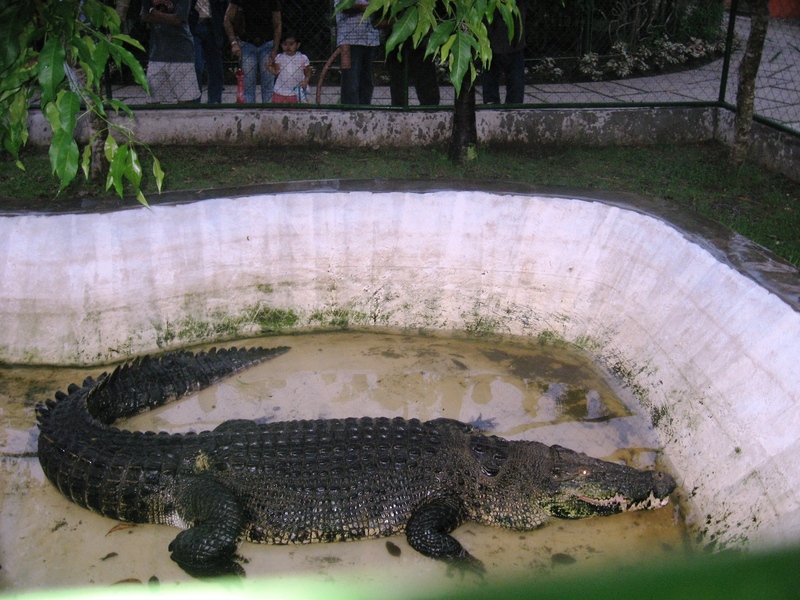 The park’s main attractions, naturally, are its 700 saltwater crocodiles and the park has facilities solely for the propagation of these ferocious reptiles, showcasing state-of-the-art crocodile farming in the Philippines. 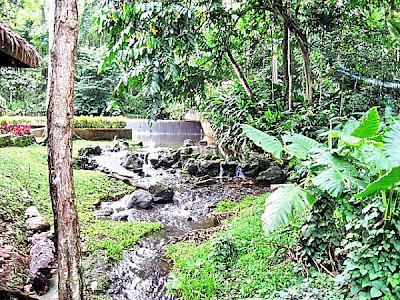 Owned and operated by a group of businessmen headed by Davao City resident Philip “Sonny” Dizon, this world-class park was opened on August 18, 2005 with the help of consultant Dr. Gilbert Buenviaje. 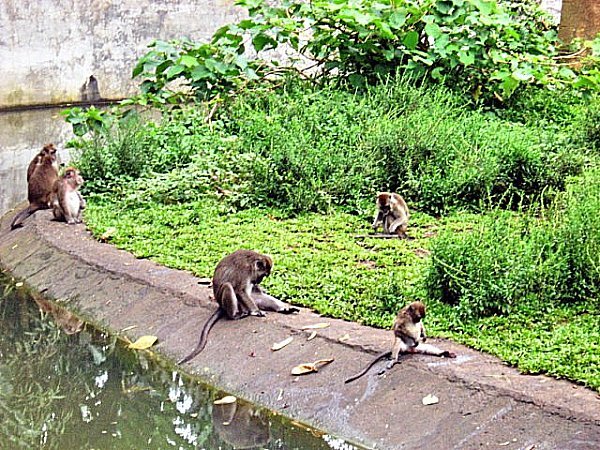 The park has 3 breeding ponds literally teeming with languid crocodiles stretching out and soaking up the sun, completely unmindful of the excited noise of spectators and their flashing cameras. They are caged according to size and breed. The biggest cage has a viewing deck elevated at the center of the area. The most breathtaking and noteworthy of all these crocodiles is the 18-ft. long Pangil (from the native word meaning “fang”), reportedly the country’s second largest and the oldest crocodile (about 60 years old) in the park. He has a pond and a big cage all to himself and, even if he just lies still, he still amazes every curious spectator, including me, with his immense size. We arrived in the midst of the 4:45-5:45 PM crocodile dancing show which showcases the leaping ability of the crocodile. 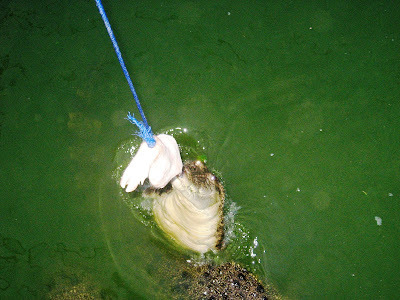 A piece of meat is suspended by a rope just below the cage for the crocodile to eat and the crocodile leaps (up to 6 ft. high), through its mighty tail, to reach it. 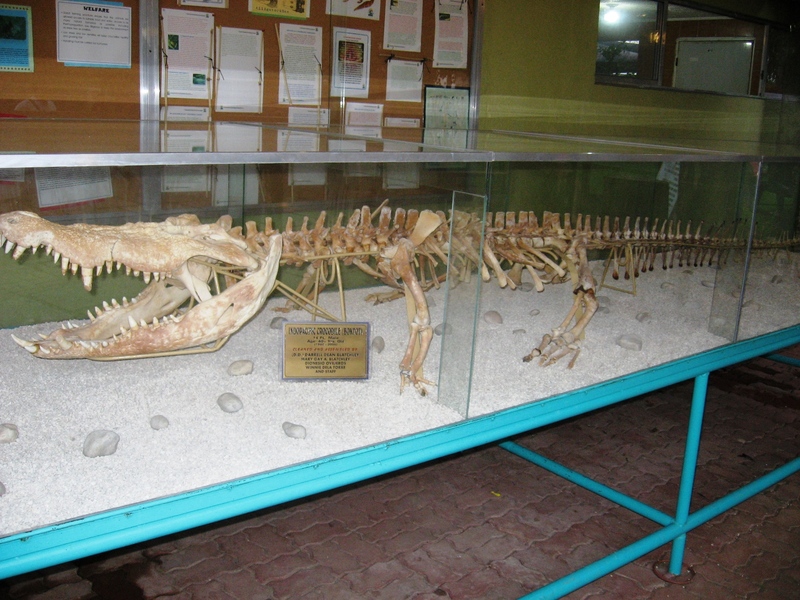 I also saw the skeleton of a 14-ft. long, male, Indo-Pacific crocodile named Boktot who died in 2005 at the age of 40. 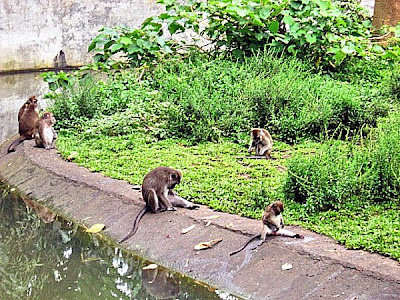 The park is more than just a crocodile farm as it also houses other exotic animals such as eagles, parrots, lovebirds, mynahs, turkeys, ostriches, monitor lizards (bayawak), Burmese pythons (one of the 6 biggest snakes in the world), bearcats, Oriental civet (or Malaysian civet), Philippine warty pigs, monkeys, Philippine sailfin water dragons, turtles, a male and female Siberian tiger (there are times when feeding them is open to the public), etc.. A few steps from the center of the park is the Davao Butterfly House. 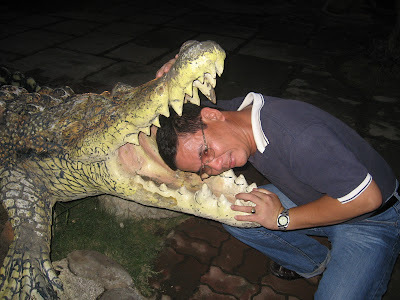 Davao Crocodile Farm: Riverfront Corporate City, Ma-a Diversion Rd., Davao City, Davao del Sur. Tel: (082) 286-8883 and 286-1054. Fax: (082) 221-4671. Admission fee: PhP150 (adults) and PhP75 (children, 2-12 years old). Open daily, 8 AM-6 PM (7 PM on Fridays, Saturdays and Sundays). Website: www.davaocrocodilepark.com. One of the highlights of my day-long tour of Davao City was my visit to the Philippine Eagle Center. I was accompanied by Jose “Jay” Mendoza, a fellow architect and former officemate who married a Davaoeña and is now based and practicing in the city. After lunch, he drove me all the way to the center. Why my fascination with this bird? For one, the mighty Philippine eagle (Pithecophaga jefferyi), locally called haribon (short for “hari ng ibon” or “king of birds”), is our national bird and is the symbol and icon of Davao City. Its 2-m. (6.5 ft.) wingspan also makes it the world’s second largest eagle after the South American harpy. Due to illegal logging and irresponsible cutting of trees (resulting in a loss of habitat), its uniqueness (there is a demand for it in major zoos of the world) and its very size and majestic stance (making it a very desirable target as a trophy), the Philippine eagle has become critically endangered. 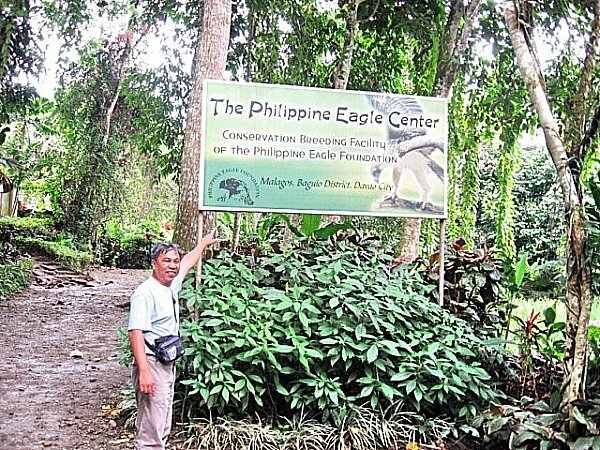 In 1987, the private, non-profit Philippine Eagle Foundation, Inc. was organized to save the eagle through captive breeding management, field research, community-based enterprise development and conservation education. They set up the Philippine Eagle Sanctuary and Wildlife Preserve near Calinan, 36 kms. 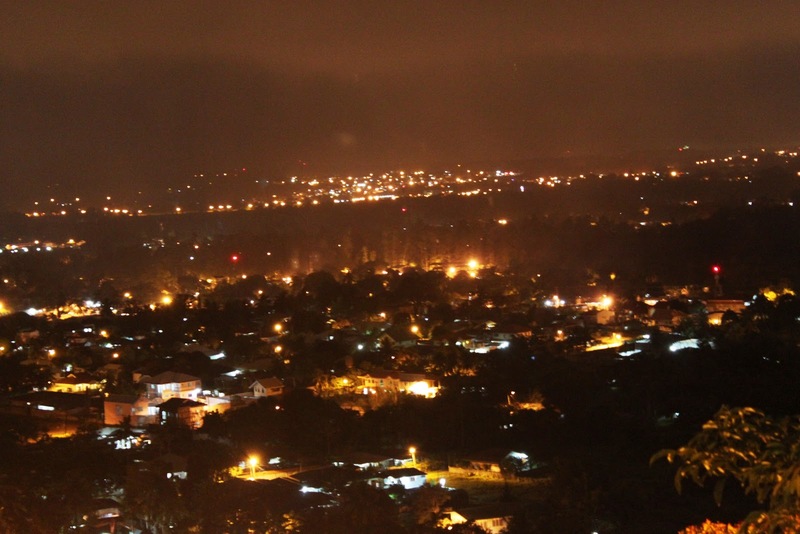 northwest of the city. 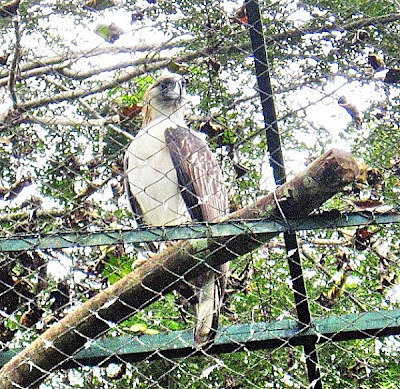 This nature park, spread over a large forest preserve, is planted with different fruit-bearing trees and is now home to 14 of these Philippine eagles, out of a known population of 119 (2 others in the DENR office in Los Baños, Laguna, 96 in Mindanao, 5 in Aurora and the Sierra Madre Mountains and 2 in Samar). The Philippine Eagle was first recorded by John Whitehead on a collecting expedition in 1896. 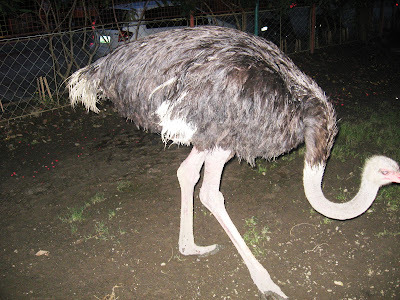 Formerly called the monkey-eating eagle (now amended), it is called manaol by the Cebuanos and Muslims, aguila by the Tagalogs and mamboobook or malamboogook by the Bagobos, Mandayas and Tagakaolos. 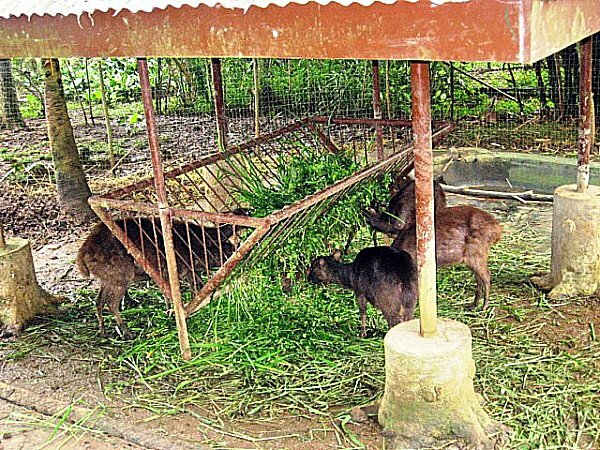 It is only found in the Sierra Madre mountains in Eastern Luzon and the heavily forested area of Mindanao. This eagle stands one meter high, weighs an average of four to seven kilograms, and has a powerful bill, strong legs and claws and eyesight eight times that of a human. Its general body color is grayish brown on the back and wings, white at the front neck and belly and has shafts of gray brown streaked feathers on the head which, when erect, forms a crest. Its raw meat menu includes flying lemurs (kaguang), wild cats (musang), flying squirrels (tapilak), snakes, chickens, bats and monkeys. Flying at speeds of 70 to 80 kms. per hour, one eagle claims and defends a wide, 60 to 100-sq. km. territory in lowland and medium elevation forest and nests (a crude platform shaped by branches and twigs) are established approximately 80 ft. atop the tallest trees in the jungle (sufficient enough for it to have a good view over its territory) or on high promontories overlooking a stream or river. The Philippine Eagle is a faithful mate, having been observed to usually prefer a monogamous lifestyle. At breeding time (between August and January), they usually indulge in high-soaring aerial courtship and are said to mate in mid-air, in or near the nest. The female lays one white egg every two years and both parents alternately incubate the egg for about 60 days until it hatches. Usually the male does the hunting, sharing his catch with the female and the young, especially during breeding time. Hunting flights extend to the cleared areas as well. The eaglet fledges within 150 days and becomes independent at 18 months, at which time the parents drive the juvenile out of their territory. It matures after 6 years. On January 15, 1992, Pag-asa (“hope”) was born in the center, the first eagle to be bred in captivity. A second eaglet, born five years later, was named Pagkakaisa (“unity”). On February 23, 1999, another eaglet, Pangarap (“dream”) was born through artificial insemination, followed by Maginoo (“respectful”) on December 15, 2000. The center is also home to other indigenous birds such as Brahminy kites (Haliastur Indus), grass owls (Tyto capensis), crested serpent eagles (Spilornis cheela), Philippine hawk eagles (Spizaetus philippensis), grey-headed fishing eagles, white-bellied sea eagles (Haliaectus leucogaster) and cockatoos; and wildlife such as tarsiers (Tarsius philippensis), brown deer (Cervus mariannus), estuarine crocodiles (Crocodylus porosus), monkeys (Macaca fascicularis) and pythons (Python reticulatus). 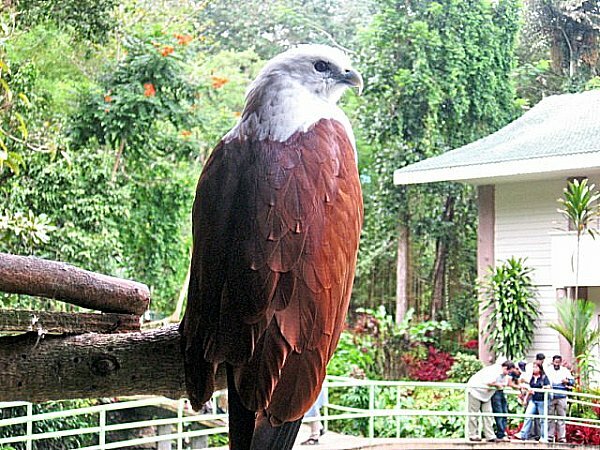 Philippine Eagle Sanctuary and Wildlife Preserve: Malagos Gardens, Baguio District, Davao City, Davao del Sur. Tel: 224-3021. Fax: 224-3022. E-mail: info@philippineeagle.org and phileagl@pldtdsl.net. Open daily, 8 AM to 5 PM. Entrance fee: PhP50.00. To get there, take a jeep to Calinan along C.M. Recto Ave., A. Pichon St. and Bankerohan Market. At Calinan Public Market, take a 30-min. (5-km.) tricycle ride to the center. You can also take a 45-min. airconditioned bus ride from Aldevinco Shopping Center.